The comments from the discussion about finding the right trainer brought up some really great points- including having a trainer that understands your beastie’s brain, trusting your trainer to make good decisions for your development/safety, the trainer’s education, and more. Amanda also addressed the reality of having to change trainers, a really interesting topic that I’ve thought about a lot myself. I don’t consider myself a trainer-jumper, but I have worked with lots of different folks for all sorts of reasons. In high school, I tried out a couple programs for a couple years before moving on. In that case, one program was so lax as to barely constitute riding lessons. The other was with a ULR whose occasionally drill sergeant ways didn’t jive with my then-fragile nerves. I eventually found a trainer who was the right match, and though that program didn’t really benefit me from an equitation perspective, I learned the most and still appreciate her guidance in those formative years. Since college, my focus has shifted. After getting Foster I worked with a trainer who was very-very supportive, but eventually I felt that I needed a more rigorous program than her style afforded. I remembered Eliza from my working-student interview with her (a post for another time), and set up a lesson. Since then, when it comes to dressage, I haven’t looked back, and that was roughly 7 years ago. Finding the right jumping coach has been a completely different journey. There aren’t so many eventing trainers in our area, and I found that some of the local H/J trainers had a hard time empathizing with either my dressage-theory discussions, or I didn’t trust them to advise me in a safe way that translated to XC. I got lucky in having access to Doug Payne for a while, who is brilliant, but sadly he hasn’t come back from Aiken for some time. Since his departure, I bounced around from trainer to trainer desperately. 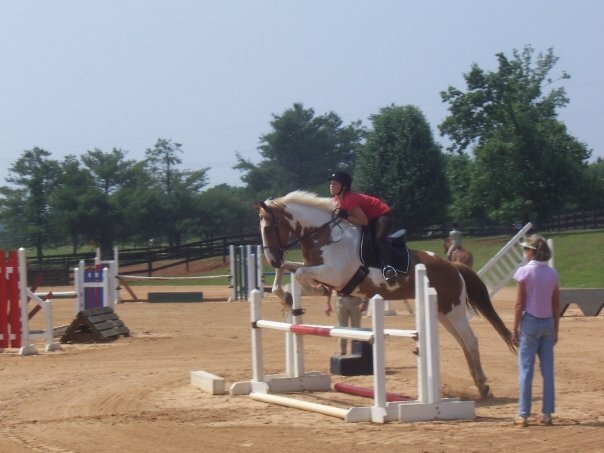 Since Smitty didn’t end up doing a lot of jumping while I had him, and obviously Foster hardly jumped at the end of his career, I was all out of sorts trying to get a professional opinion by the time I was horse searching again. But I knew I needed help, and I was finally able to find a trainer who met all of the requirements. She’s been around Rolex on multiple occasions, finishing as high as 8th place. She’s tough, which I need to get me through my years and years of lost and misguided attempts at equitation. And she gets Jack’s occasionally squirrely brain, and has the balls to help the hamsters get back on the wheel when needed (see below). Right now, I feel like I have the perfect team to support Jack and I in our attempts at greatness. What has prompted you to change trainers? Have you ever gone down a road with someone and realized you needed to about face? What is it about your current trainer that you appreciate most? I’m not one to Trainer jump either. If I hadn’t moved I’d probably still be with the same trainer. When I moved I told myself that its ok to change trainers if it turns out that whoever I ride with doesn’t continue to work out. People’s and Horse’s needs change overtime afterall. 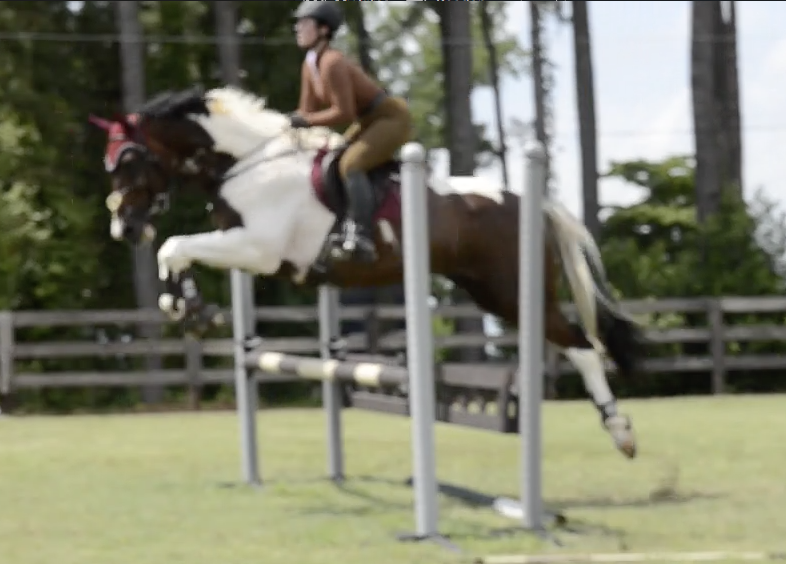 I am not really a trainer jumper, either. The times I’ve moved on have either been due to distance/accessibility (the trainer I bought Promise from built a house about 3.5 hours away from where I boarded, so I ended up taking lessons with the woman that owned the farm we were at), or because I outgrew what they could teach me or my horse, but most often, it’s because I relocated! When I first moved to this area I was riding with a different trainer than my current one. With Gus it was fine, we weren’t really in a consistent program b/c of distance, but that person was who I rode with the most. After leasing Gus out to a new home I started working more with Marley (who was ridable at that time) and I took a lesson with 1st trainer and it was a disaster. Marley was pissy and angry the whole lesson and I felt like I got nothing out of it except an angry mare. Some other personal issues cropped up with 1st trainer’s partner and I was out. Then stepped in current trainer who was retired but then decided she still wanted to teach on semi regular basis. I’ve always liked current trainer and when she started teaching again I jumped at the chance to ride with her. She helped me with Marley until we can to the realization something was physically wrong with her and then has helped me tremendously with Chimi and understanding his brain. 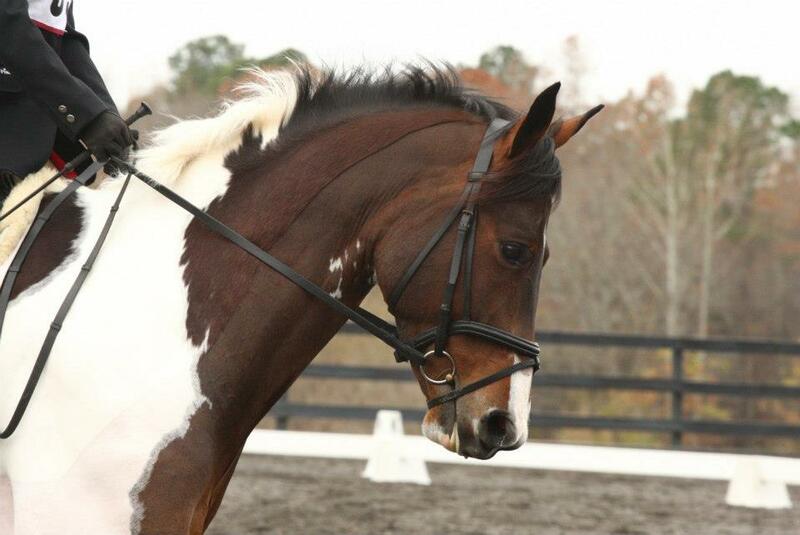 Plus I’ve seen her work with so many other quirky horses and she just understands them. She’s good with normal horses too 😉 I really hope she stays semi-retired for another 20 years b/c I have no idea what I’ll do when she fully retires!!!! I would love to taking jumping lessons one day but need another saddle first (ugh). Then I might have to ask you about some! I haven’t ridden with a ton of trainers, and actually sort of “lucked into” my current situation through mutual friends. Usually, it either works or doesn’t right away for me — I went through a few trainers during college while I showed IHSA, and that helped show me what type of person I worked best with as an adult. I am glad for you! Finding the right one for you and the horse is key. One trainer is not going to be right for everyone.